As one of the best aluminum foil manufacturers, Haomei Aluminum tell you the answer, aluminum foil has no harm to human body. Aluminum foil, also known as aluminum foil paper, is made from flat aluminum alloy, mainly used for cooking in the kitchen, containing food, or used to make some simple clean materials. Thousands of tons of aluminum foil paper are used throughout the world for the protection and packaging of food, cosmetics and chemicals. Most of the aluminum foil has a bright side and the other side of the gray dumb. While wrapping food, usually recommend to use the bright finish to enhance the heat transfer effect. Aluminum foil is usually used for food loading, when used in the barbecue for bread sprouts, potatoes, sweet potatoes and other barbecue used to avoid burning them. But also for decorative purposes, can also be used as aluminum electrode for electrolysis. 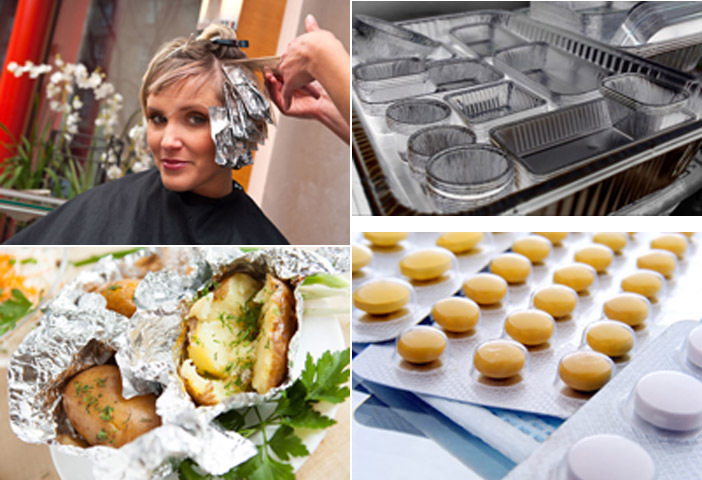 There are hair stylist use aluminum foil for the guests perm, have a better heat transfer effect. Some people also use aluminum foil to absorb the oil in the soup, wrap the aluminum foil into a ball then the open it, you can absorb the oil in the soup, the principle is in the process of wrinkling the aluminum foil, the surface tension will increase. Aluminum foil is also widely used in isolation, heat exchange and as a conductor. Usually, the thickness of the foil in the food bag is only 6.5 microns, this thin layer of aluminum can be waterproof, keep flavor, anti-bacterial and anti-fouling. It is very common to carry food with aluminum foil paper tray. Some foods must be wrapped with aluminum foil to avoid charred. Wrapped with aluminum foil to burn seafood can retain the flavor. Although aluminum foil tray is disposable, but it is aluminum product, so it has less harm to nature.